In 1922, when Camp Jeanne d’Arc was established, Joan of Arc was a popular topic of conversation. 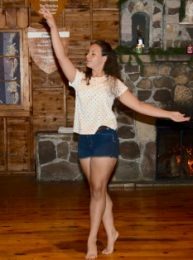 Camp Jeanne d’Arc’s founder, Ruth McIntrye, greatly admired the qualities of faith, endurance, courage, and confidence exemplified by the young 15th-century girl, and decided that Joan would be a wonderful inspiration for her campers. 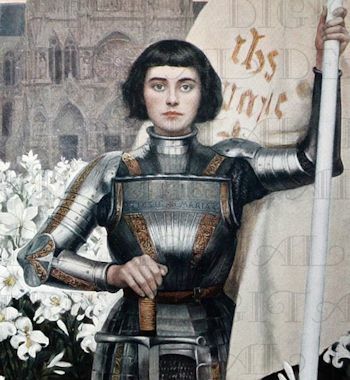 Jeanne d’Arc is the French pronunciation of Joan of Arc. Today, Camp Jeanne d’Arc continues to emphasize the exemplary qualities of faith, endurance, courage and confidence. Camp Jeanne d’ Arc celebrates faith of all kinds. Campers are encouraged to strengthen their own faith, whatever that may be, as well as respect the faith of others.